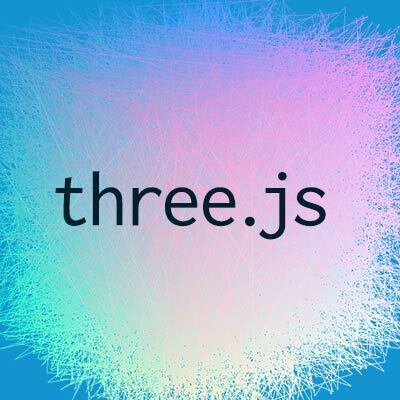 1) Explain what is Three.js? 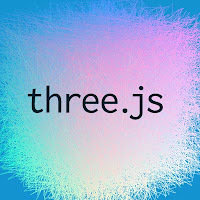 2) Explain what are the key features of Three.js? 3) Explain what is the difference between WebGL and three.js? It does not have additional support for text, for shaders built, for picking, etc. It does have an additional support for text, for picking, for object hierarchy, etc. 4) Explain how clipping is done in Three.js? The far and near contains a value, for example, near=0.1 and far=10000, so an object between these values will be rendered. 5) Explain the term SkinnedMesh in Three.js? SkinnedMesh is a 3D object has bones data. These bones then can be used to animate the vertices of the object. 6) Explain what is the easiest way to import 3D model into Three.js? The easiest ways to import 3D model into Three.js is to convert .obj files into JSON format and then load them into Three.js. For that conversion, you are required convert_obj_three.py script. 7) To move an object on its own axis without gimbal lock what function you can use? To rotate an object on its own axis without facing gimbal lock issue, you can implement a quaternion. 8) Explain how can you load assets into three.js using File API? In order to load assets into three.js using file API, you can override or “hot patch” the loaders load() function. Put your overrides before any other Three.js related code. 9) Explain what is Euler angle? How can you get Euler rotation from Quaternion? Euler angle: It describe a rotation transformation by rotating an object on its various angles and in specified amounts per axis, and a specified axis order. 10) Explain how can you render a WebGLRenderTarget texture? The size parameter in rendere.setSize() are used by the renderer to set the viewport when rendering to the screen only. While when the renderers render to an offscreen render target, the size of the texture rendered to is given by the parameters renderTarget.width and renderTarget.height. 11) List out the plugins available in three.js? 12) Explain what is PointCloud in three.js? PoinCloud is a class for displaying particles in the form of variable size points. 13) Explain how to get the absolute position of a vertex in three.js? 14) Explain what is ShaderMaterial in three.js? 15) Mention what are the three types of variables in shaders? 16) Explain what is the use of ObjectLoader in three.js? In three.js object loader is used for loading a JSON resource, unlike the JSONLoader, this one make use of the .type attributes of objects to map them to their original classes. 17) Explain how to load an animated .x model in three.js? If your .X is an ascii format, then it would not be hard to parse or convert. 18) Explain what you need to do to set a transparent background in three.js? If you want to set a transparent background in three.js , you need to pass in the alpha parameter to the WebGLRenderer constructor. 19) Explain in three.js how can you add text to the model? 20) Explain how to update wireframe helpers position? To update wireframe helpers position, you have to move the mesh, and it will move the Wireframehelper automatically. Use , set mesh.visible=false to see only the helper. 0 on: "Three.Js Latest Interview Questions For Freshers And Experienced."